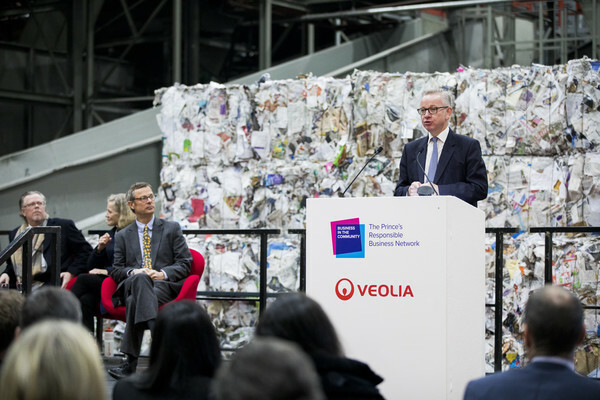 Secretary of State for Environment, Michael Gove speaks on stage during a Waste-To-Wealth Summit at Southwark Integrated Waste Management Facility on November 22, 2018 in London, England.The Prince of Wales, President and Royal Founding Patron of Business in the Community (BITC. ), will attend BITCâ€™s Waste-to-Wealth Summit. BITC is convening the Waste-to-Wealth Summit at which 200 leaders from business, government, academia and civil society will come together to tackle one of the challenges of our time; to commit to work collectively to create new solutions that will increase resource productivity and reduce avoidable waste.